When did the Sacred Heart begin to exist? Heart of Jesus, Son of the Eternal Father. Have mercy on us. Heart of Jesus, formed in the womb of the Virgin Mother by the Holy Ghost. Have mercy on us. 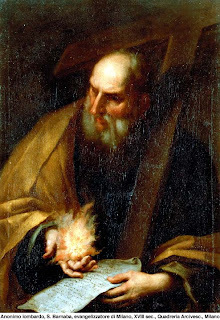 While there can be no doubt that the person of Jesus, who is none other than the Son of the Eternal Father, the very Word of God who was in the beginning with God, did not begin to exist but rather has always been; nevertheless, we may well question whether the Sacred Heart of Jesus came into being at any time. Even though the Eternal Word has been from before everlasting ages, can we say that the Sacred Heart has always been? Or, rather, shall we hold that the Heart of our Savior only came into existence at the moment of the Incarnation? 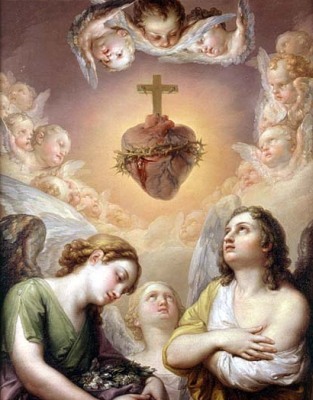 Or, even further, ought we to think that the Sacred Heart only began to exist sometime after the conception of our Lord, but before his birth, at the time that the human heart organ was formed in the womb of Mary? This question will allow us to enter into a rather speculative point of theological inquiry: Is devotion to the Sacred Heart a devotion to the humanity of Jesus only, or also to his divinity? If Jesus doesn't die, how is the Mass a sacrifice? In the sacramental theology of the Church, we must recognize a threefold distinction. In Latin: Res, Sacramentum, Res et Sacramentum. In English: Reality, Sacrament, Reality and Sacrament. The reality is that invisible grace given by the sacrament. The sacrament is that visible sign which is used in the rite. And the reality and sacrament is an invisible reality which is yet a sign of something further (like, for example, the way the sacred character of baptism is a reality in the soul of the baptized but is also a sacrament of the individual’s participation in Christ). To properly understand the manner in which the Mass is a sacrifice, we must understand how each of these elements relates to the Real Presence of Christ in the Eucharist. 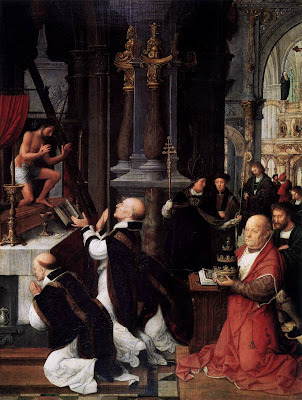 This will make clear how it is that, even though Jesus does not die upon the altar but remains living and glorified in the Holy Eucharist, the Mass is yet the very self-same sacrifice of the Cross.